The Fall Orser Speakers Forum will host Ian B. Davidson, chairman of Davidson Companies and Davidson & Co. This free event will take place on Wednesday, October 6 from 4:10-5:00 p.m., in the Procrastinator Theater on the MSU Campus (Strand Union Building). A forward-thinking vision and strong commitment to western values has allowed the Montana-based company to survive and thrive for 75 years in a fiercely competitive industry, through good times and bad. Davidson, who has been with the company for 52 years, joined the firm as its third employee in 1958, working alongside his father. He served, from June 1986 to January 2000, as president and chief executive officer of Davidson Companies.He was president of D.A. Davidson & Co. from 1969 to 1983 and served as CEO from 1970 to January 1998. The Davidson Companies and D.A. Davidson & Co. are significant supporters of education. In October 2010, Davidson and Montana State University’s College of Business will celebrate the 25th anniversary of the Student Investment Program, created by Ian Davidson. D.A. Davidson & Co. is proud that MSU was the first college to initiate this successful program, providing the groundwork for other universities to join in the hands-on learning experience for students. The program now reaches students attending 19 colleges in the West and, as of this year, also in the Midwest. Davidson will share his belief in this partnership and how this program will assist today’s students by offering them real-world financial investment experience, helping them understand the ups and downs of the market. The David Orser Executive Speakers Forum brings accomplished and inspiring professionals to MSU’s College of Business to deliver large, open-forum lectures and to share their expertise and experience with students in the classroom. 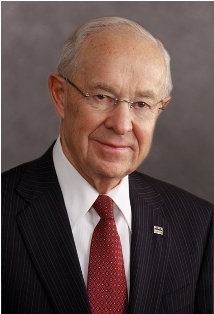 David B. Orser, a 1966 MSU graduate, began funding the program in 1988 to inspire MSU business students to pursue careers as innovative, responsible and ethical business leaders. For further information about the David Orser Executive Speakers Forum, please contact Audrey Lee at 406-994-7026 or e-mail: audrey.lee@montana.edu.